More than 400 Ukrainian military personnel requested refugee status from Russian border guards on Monday and Russia’s Federal Security Service (FSB) has opened a corridor for the soldiers. Fierce battles in Ukraine’s southeastern regions have not abated since mid-April when Kiev officials announced the beginning of a special operation against local independence supporters. As a result, many Ukrainian servicemen left their military posts to cross into Russia. On Sunday, 12 soldiers from the Ukrainian Armed Forces made it into Russia and applied for an asylum at Gukovo checkpoint in Russia’s Rostov Region, saying they had run out of food and ammunition. Last month, another 40 Ukrainian troops abandoned their military units and asked independence supporters to allow them to come to Russia in order not to fight against their own people. 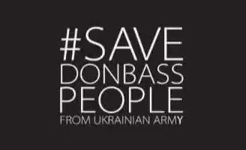 Ukrainian solders said that they have already run out of water, food and fuel. Ammunition is also running out. There is a bad situation with supply which is connected with the large loss of military transport aircraft in Ukrainian armed forces. Ukrainian mass media and the leaders of the so-called CTO (counter-terrorist operation) didn’t report about these facts. Moreover, the Ukrainian press didn’t report about a number of military personnel who have received a humanitarian corridor through Russia and now claim that they do not want to fight anymore.